Oscoda Township residents meet for an update on PFAS clean up. Oscoda Township — PFAS remains an on–going issue in Oscoda Township, and residents are looking for relief. 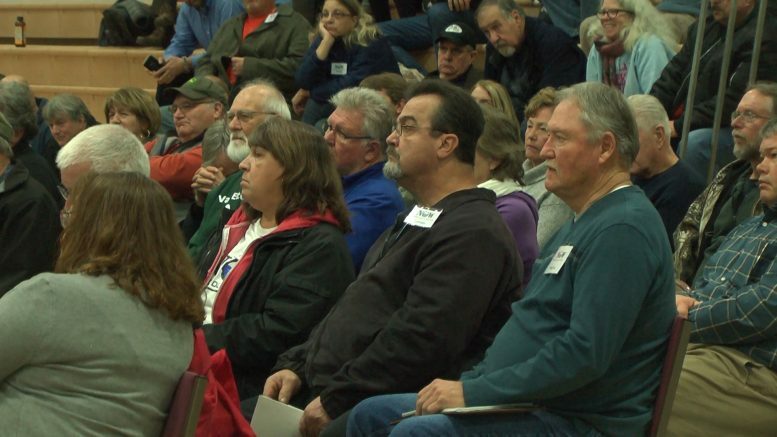 Residents of Oscoda Township are still seeking answers about fixing the water contamination issue they’ve been facing over the last year. Aaron Weed, Oscoda City Supervisor says they’re looking to various government entities for answers. PFAS, harmful synthetic chemicals used to manufacture many consumer products, have been found throughout drinking water in Oscoda Township, stemming from Wurtsmith Air Force Base. Robert Tasior, a member of the Restoration Advisory Board and resident of Oscoda Township says there’s no time to waste in restoring the community’s healthy water supply. Representatives from the health department, DEQ, and legislators updated community members on what has been done so far, but there is still no solid answer for a timely remedy.